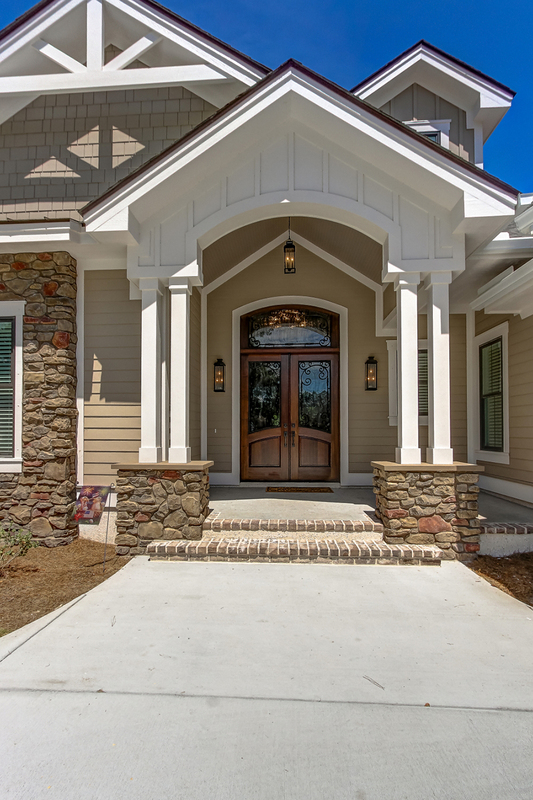 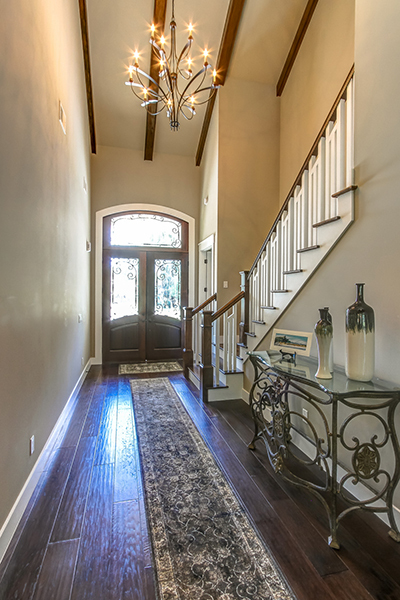 The front entry of this home displays characteristics of a LowCountry style with a custom designed and build front door. 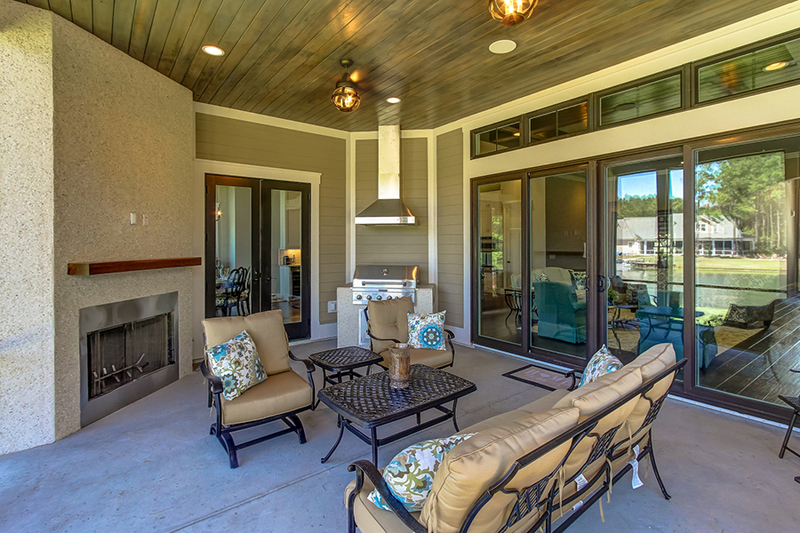 This is paired with stone details, board & batten, metal roofing and a Coppola on top of the garage. 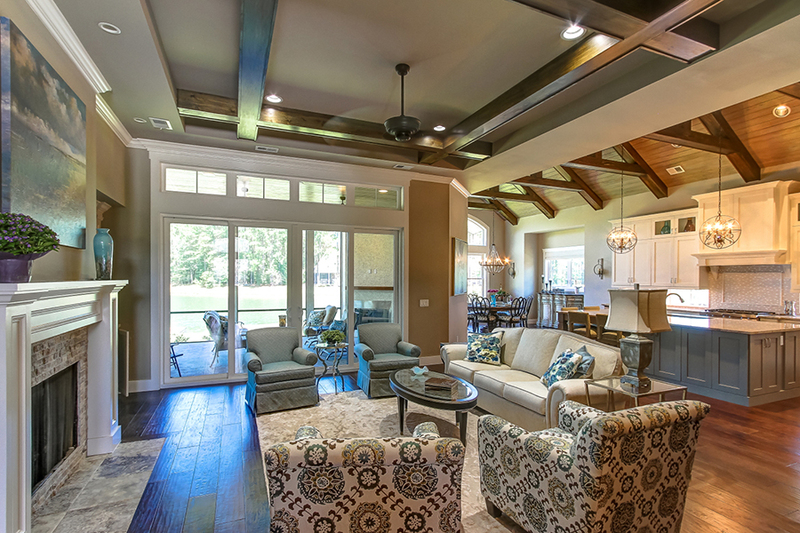 This home has an open floor plan. 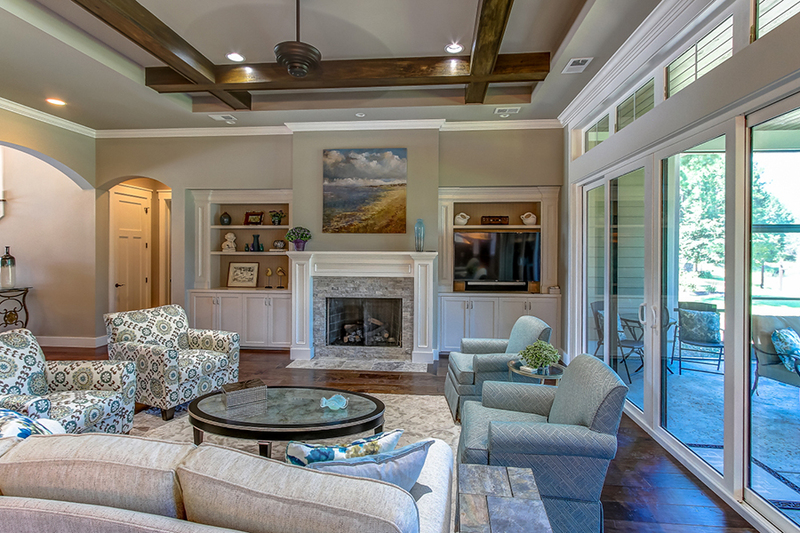 The living room, kitchen flow into one another with easy, but they still have their own distinctive space. 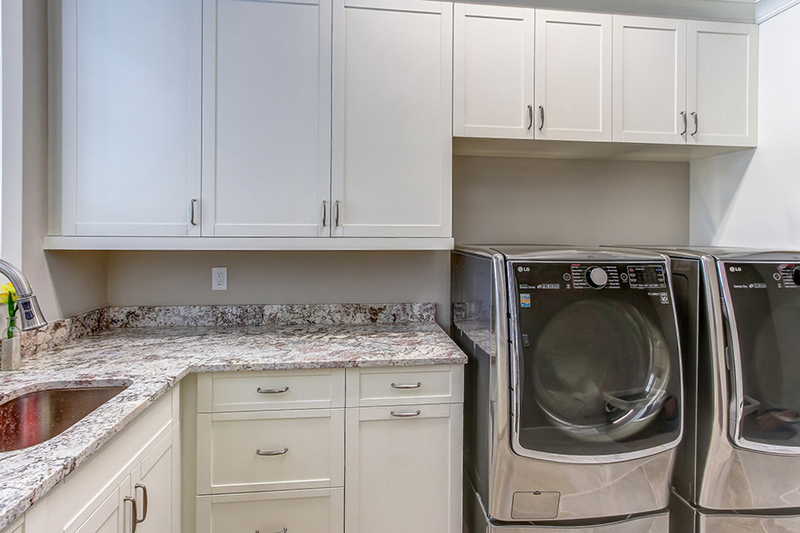 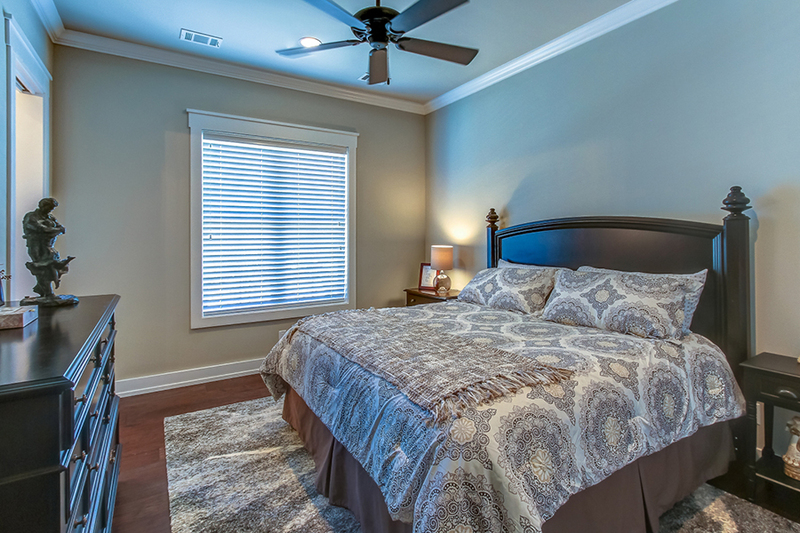 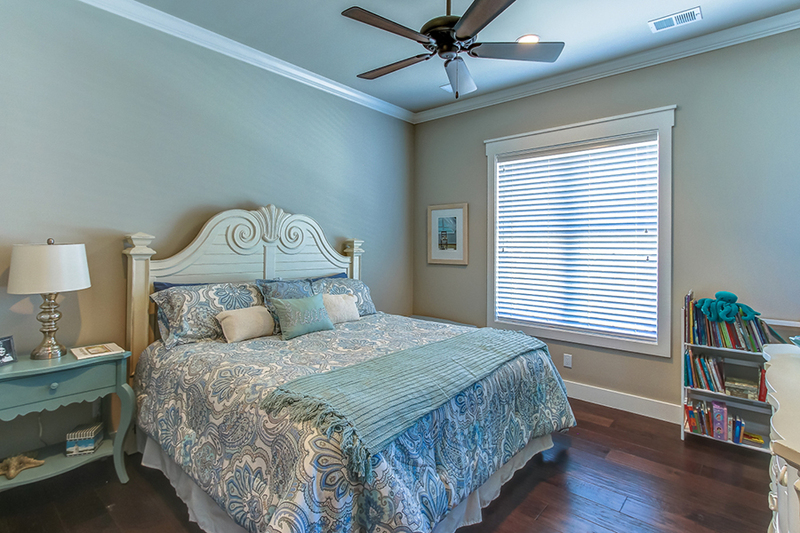 When entering the kitchen, you're welcomed with beautiful hardwood flooring, custom designed cabinetry, all stainless steel appliances, and granite counter tops. 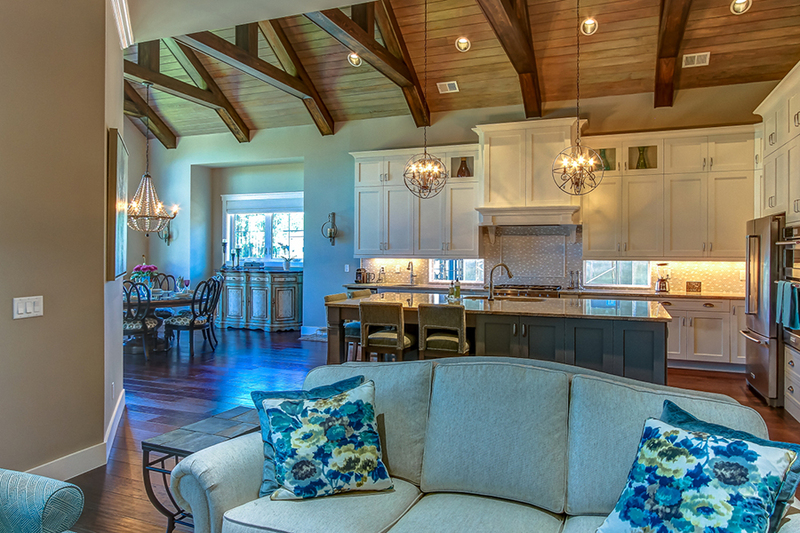 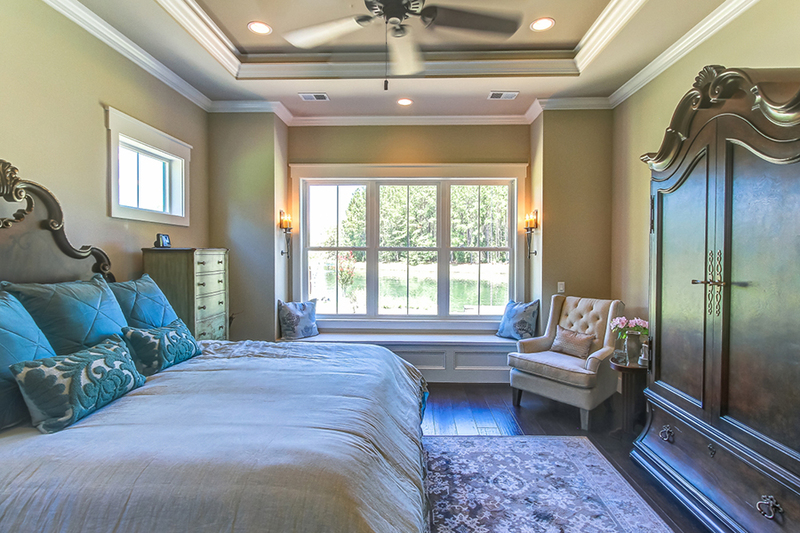 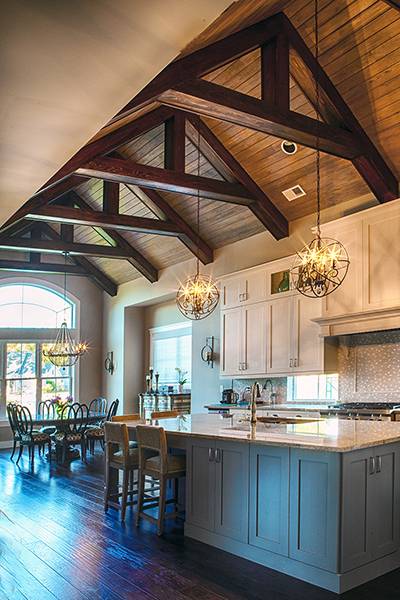 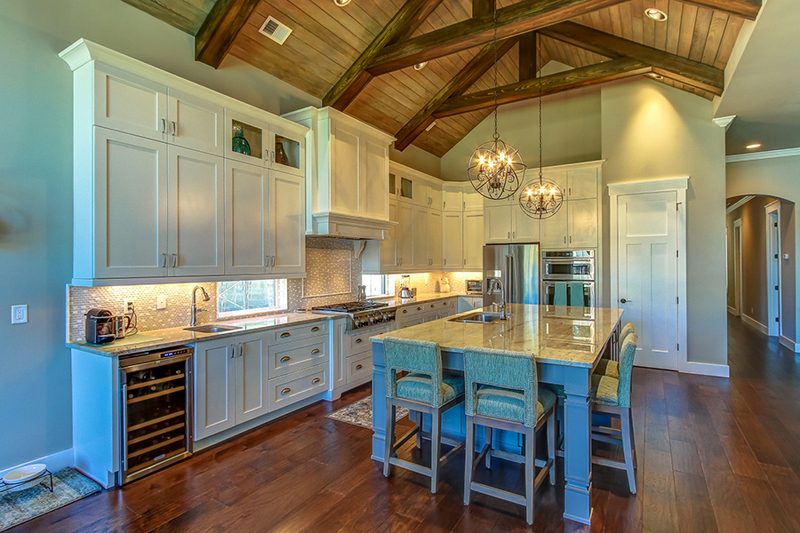 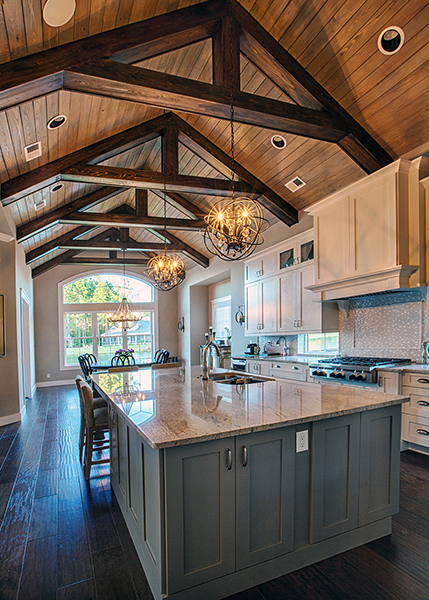 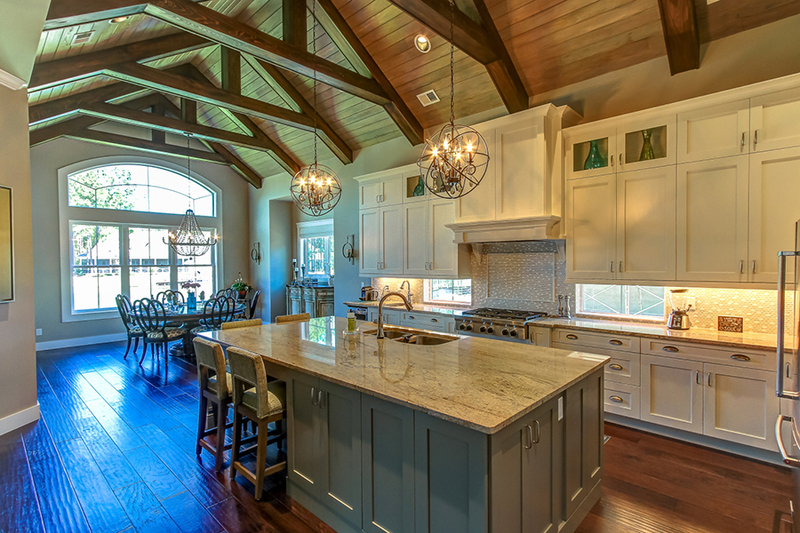 The vaulted ceiling and wood beams are enough to take anyones breath away! 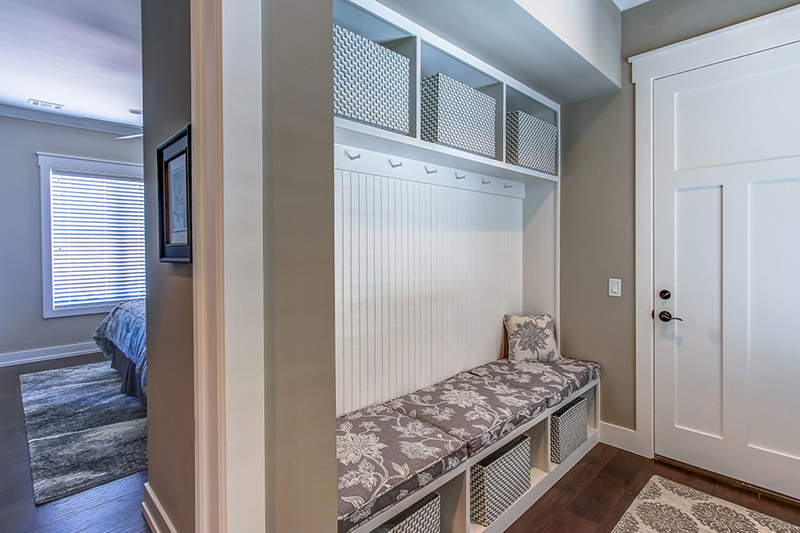 We custom designed and built a mudroom that leads to the garage. 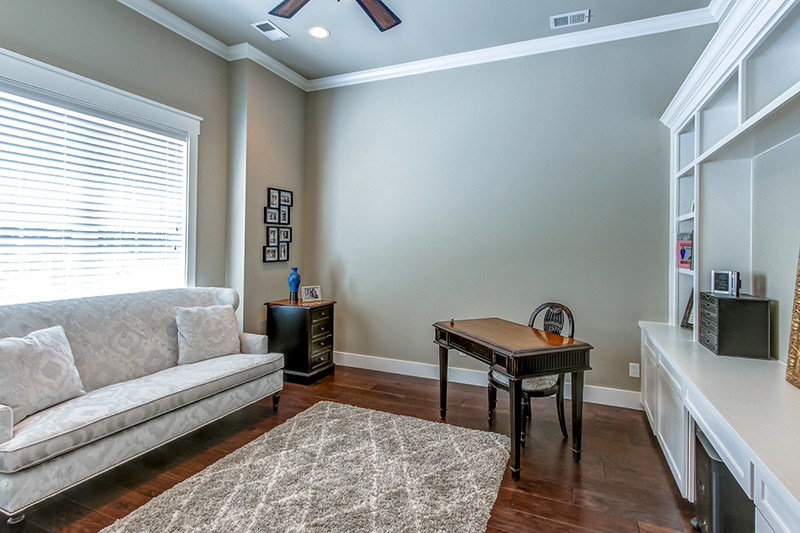 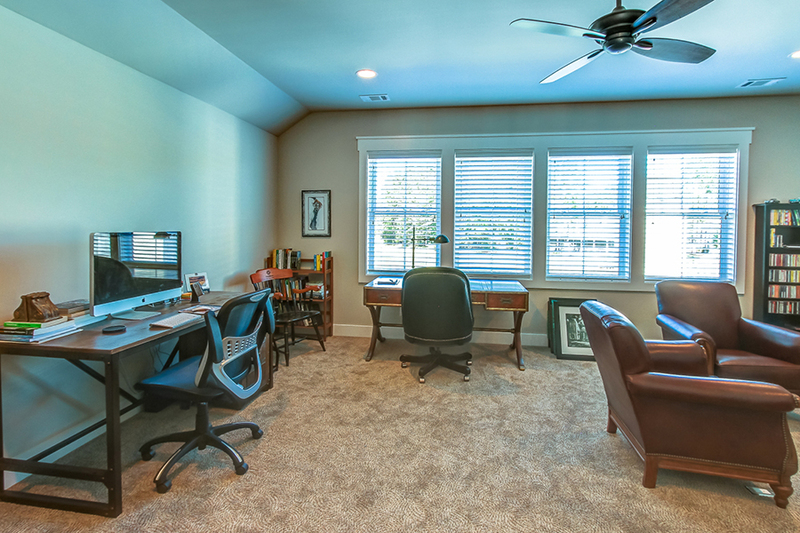 This space is most convent for coats, shoes and other items that the homeowner would want to neatly store away. 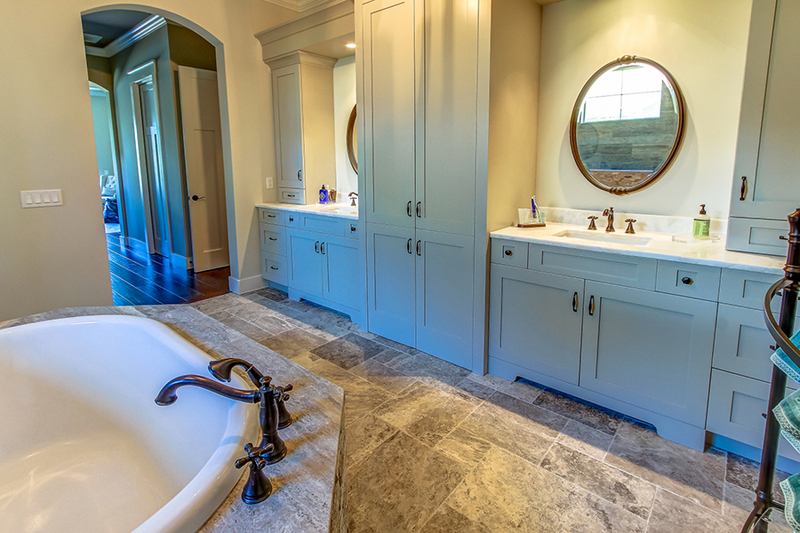 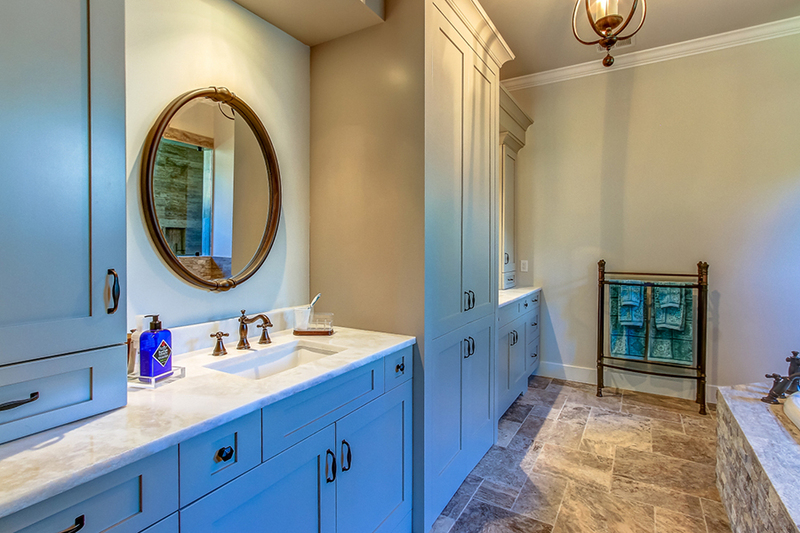 The powder room has Travertine stone floors designed in a French pattern. 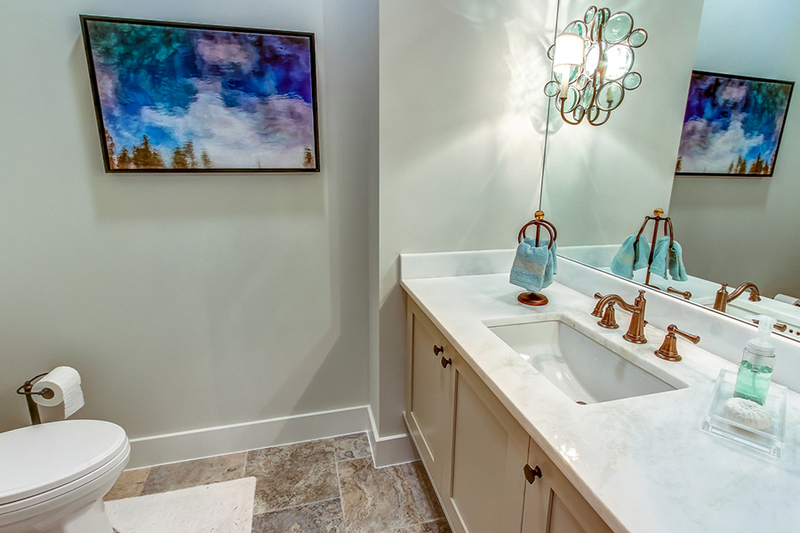 This compliments the marble counter tops, custom cabinets and light fixtures. 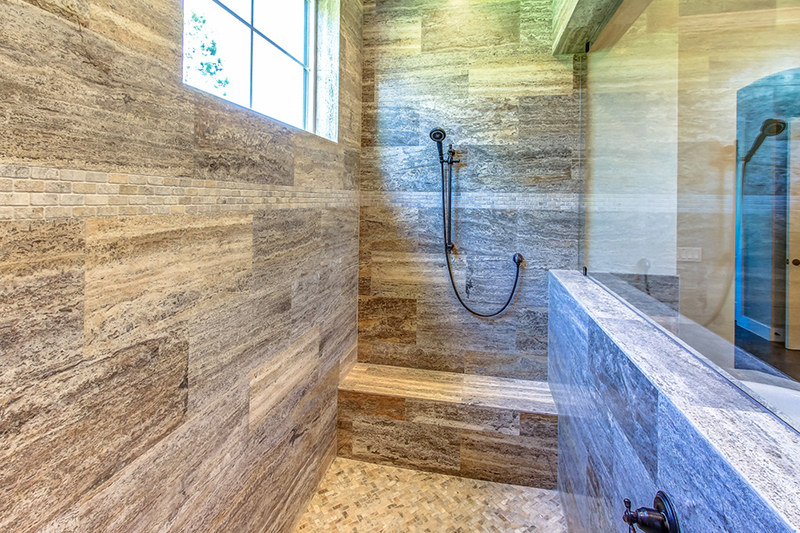 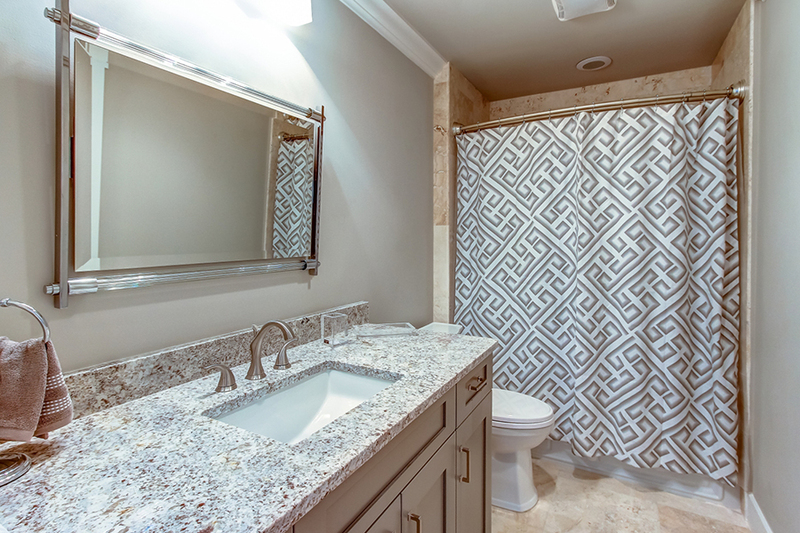 The master bathroom has the same type of Travertine stone tile wall and small stone tile floor in a Herringbone pattern. 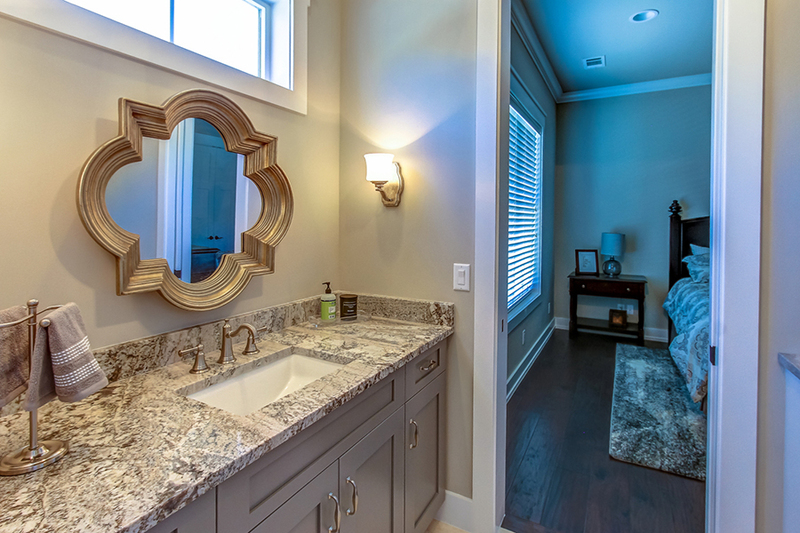 The bathroom also has a glass half wall and a window for bright, natural light. 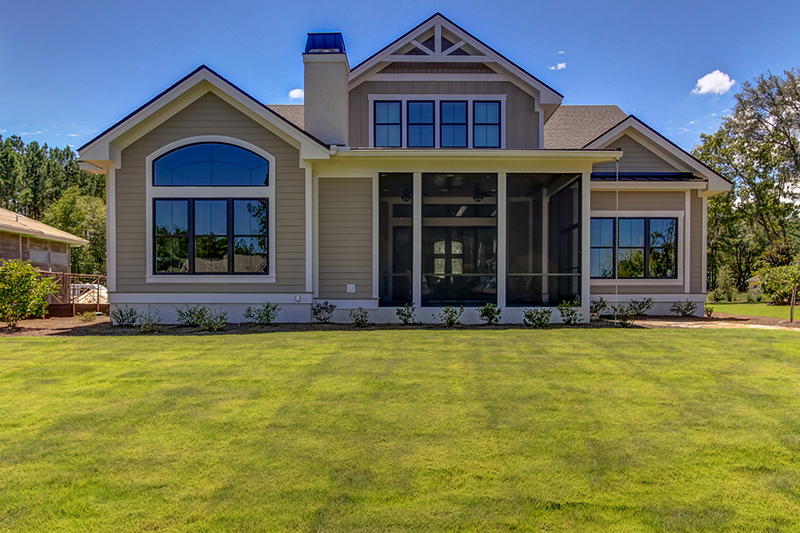 The rear elevations of our homes are just as beautify and interesting as the front. 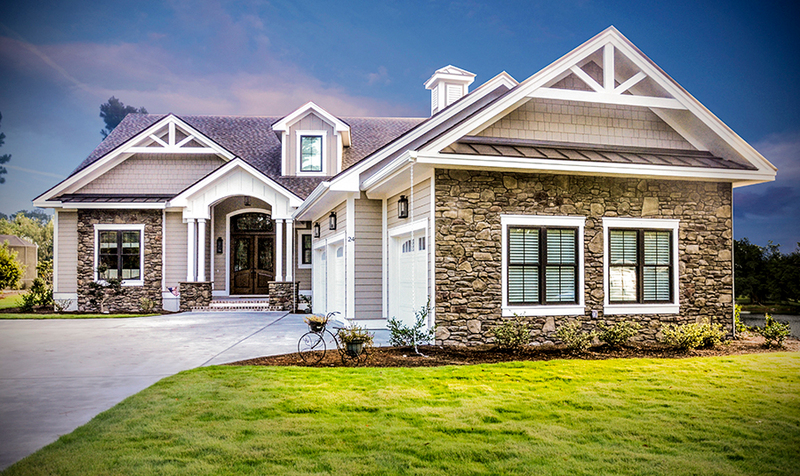 After all, why should the rear elevation of your home be less beautiful than the front? 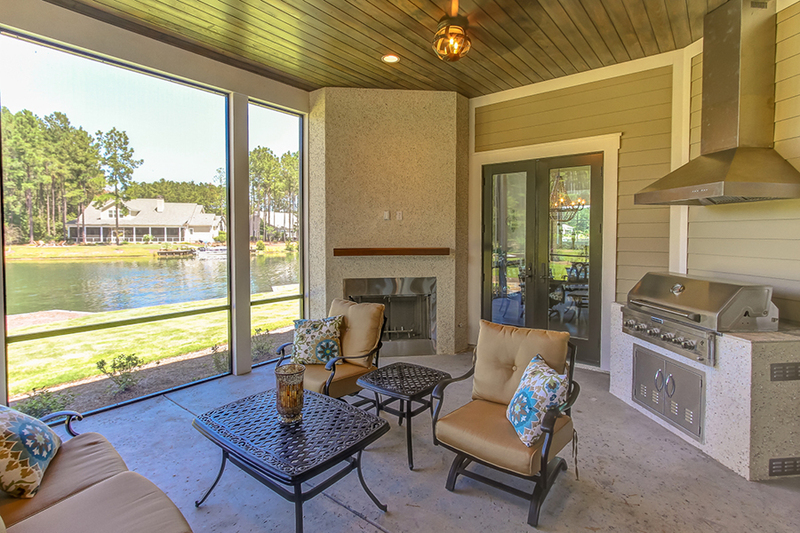 This home has a screen porch with a gas fireplace, a built-in gas grill and a wood ceiling.